Thank you so much for all your lovely and generous comments on my long skinny landscape. I appreciate them all so very very much. I thought you'd like to see all the quilts hanging together at the Dallas Quilt Show this past March. I especially love this bit of lightening on Becky's quilt. Judy Kriehn's peacock feather is a masterpiece! 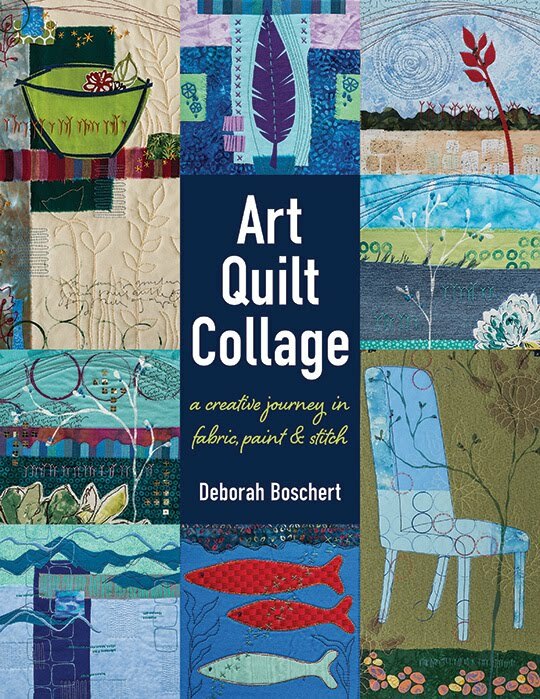 Barbara Lange's coffee quilt is amazing in whimsy and technical skill! All those 3D twists unzip to reveal images of coffee cups. And here is the last set. My landscape on the top, then Sharon Zeiner's purple bubbles and Sandy Brawner's bathing beauties. One last shot from the quilt show... awesome shoes! That's my friend Denise in the teal and me in the lime green. Call me biased, but I think for sheer impact and best use of teh format, yours and the peacock feather are the standouts. OK, Becky's landscape is an excellent use of horizontal too, and Tonya's hand dye makes the birds sing. :-) Congratulations to all of you on a show well done. I love the birds and the flowers and yours and just gotta love the bathing beauties. I got to see these quilts in person and they were all amazing!! I love the shoes too! What a great collection of quilts! They're all wonderful -- but yours jumps out at me with a wonderful visual impact. Those birds really jumped out at me. "One for sorrow, two for joy...nine for a kiss" I wonder if she was thinking of that rhyme? 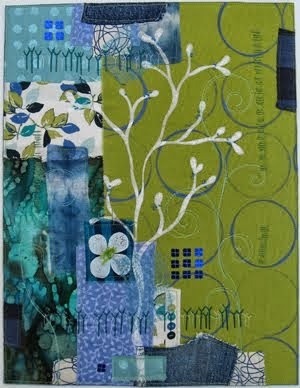 art quilts amaze me! i wish i could do it, but i have no magic with fiber. so i feast my eyes on others' creations! and yes i've heard of the cake balls but haven't had the luck to try one yet! i think they were just taking off right when we left dallas a few years ago! they sound delicious! I do believe I love long skinnies....and if I weren't designing jewelry, I indeed would be quilting, as my grandmother, Josie was a wonderful quilter. I just loved her crazy quilts, which I don't have but I do have another one she made me. I believe it is the Log Cabin Quilt design.